With more than 300,000 monthly users, SeniorPeopleMeet is the largest international dating site for singles over 50 and is therefore an excellent place to find like-minded singles local to you. SeniorPeopleMeet is easy to navigate, and offers different communication tools, such as audio and video messaging, as well as a simple live chat. In addition, users receive daily match suggestions based on their search criteria. As SeniorPeopleMeet is intended for the over 55 crowd, the navigation and sign-up functionality is quick and simple to follow. New users start by specifying their gender and whether they are looking for a man or a woman. The next step includes answering some basic questions, like date of birth, age, and location. After inputting an email address, choosing a password and uploading a profile photo, users will be asked to write a brief summary about themselves and what qualities they are looking for in a potential match. This part is not mandatory and can be completed at a later point. The third and final step before members arrive at their profile is selecting a membership plan, with details about the options and prices. It is worth knowing in advance that joining the site and creating a basic profile is free, and it is possible to proceed to the profile without signing up to a paid plan. Just look a little more carefully for the “home” icon above the payment options. SeniorPeopleMeet lets singles create free account which allows them to browse profiles, but a paid membership is required in order to use the site’s full functionality. Members with paid subscription have the ability to read and reply to messages, see who “Flirts” and “Fav’d” them, can chat instantly with other members and even gain access to astrological matches. 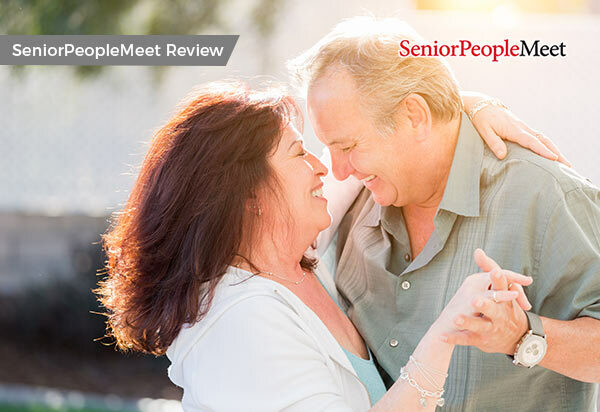 SeniorPeopleMeet are currently offering a Best Value Plan, which comes with a profile highlight function, drawing extra attention to the profile and therefore improving the chances of meeting that special someone. The site’s standard search is a basic one which covers three areas: age, photo and location. By simply clicking on ‘search’ without refining further options, all available matches that meet these broad specifications will appear on the search results page. Additional profile features, such as ethnicity, height, and whether they have children can be added to refine the search. A downside of the search’s simplicity is that matches are found for you based on country or state, rather than ZIP or post code which makes it hard to narrow down results to those that are realistically nearby. A menu column on the left side of the page lets users search for people who are online, who have viewed their profile or “liked” their photos. In addition, SeniorPeopleMeet offers the common option of finding other profiles by searching username or keyword. SeniorPeopleMeet suggests up to five people a day which can beb found in the ‘MyMatches’ section. These matches are being suggested based on users’ profiles and the questions they answered at sign up. SeniorPeopleMeet has a number of attractive features for all ages. Personality questions, that appear on the profile page, can help other users get to know you a bit better before reaching out. These questions vary from ‘How punctual are you?’ to more intimate questions such as ‘Are you romantic?’ Ice breaker questions help shy singles with ideas for messages when reaching out to another member for the first time. The ‘I’m Interested’ game lets users swipe through other members’ profiles and mark those of the ones they find attractive as ‘Yes’. If the member did the same for them, they will be notified of a mutual match. Send a wink or a flirt to express interest, or mark them as your favorites to visit later under the tab marked “Fave’s". The website offers both inbox based messaging and instant chat, which helps cater to every comfort level and lets singles ease into communication with a new person. SeniorPeopleMeet offers customization features that do not appear on many other dating websites, such as choosing icons and backgrounds for the profile, as well as uploading a video or audio extra to make a real first impression. This added element means you can gain a sense of who someone is before you make the first move. SeniorPeopleMeet user safety is a top priority for the site. Some features include the ability to block other site users which prevents specific users from messaging you and viewing your profile. You can also have control over who sees when you’re online by toggling the online status to your messages. A distinct advantage with SeniorPeopleMeet is the clarity with which they offer safety advice to all users. Their “Safety Tips” section contains important safety information and guidance in the online dating world. At the top of the list of safety tips is advice regarding fraud and scam awareness. The site follows important safety guidelines with a very helpful list of “red flag” behaviors for which to watch out. Members are strongly and clearly encouraged to report any suspicious behavior that they encounter and are also able to block and report concerns they may have about a message they have received, or a profile page they have seen. SeniorPeopleMeet has an extensive FAQ section with a lot of the most common queries about the site. This includes sign up, safety, mobile access and subscription queries. If you can’t find what you’re looking for, the search bar is really useful at narrowing down the results or finding a specific answer. In terms of contacting support, there is a contact form from the site, but no email addresses, phone support or chat. Although this is not very much help and support, the site is very intuitive to use and there should not be much of a reason to reach out. If you experience any harassment or aggressive behavior you can block members with one click and report this to admin. With SeniorPeopleMeet.com users have access to over 300,000 senior singles from all over the US who are ready to make a connection. With a simple sign up process, easy to use dashboard and excellent privacy and safety features, this awesome website gives singles aged 50 and over the best chance of finding a love connection online. The affordable upgrade features also allow users to make connections more quickly and explore profiles of other users right in their zip code. Thanks to SeniorPeopleMeet, it is extremely easy for mature singles to get back into the dating game and find love online.